Nothing is better than a crisp fall day, besides apple crisp that is! This apple crisp is melt in your mouth delicious and has about 1/4 of the amount of sugar of a typical apple crisp. Now that I've made it once, this recipe will definitely become a fall staple for all occasions! +Preheat oven to 350 degrees F. and take out a 13 x 9 baking dish that is about 2 inches deep. + Peel, remove the cores and cut the apples into large chunks. 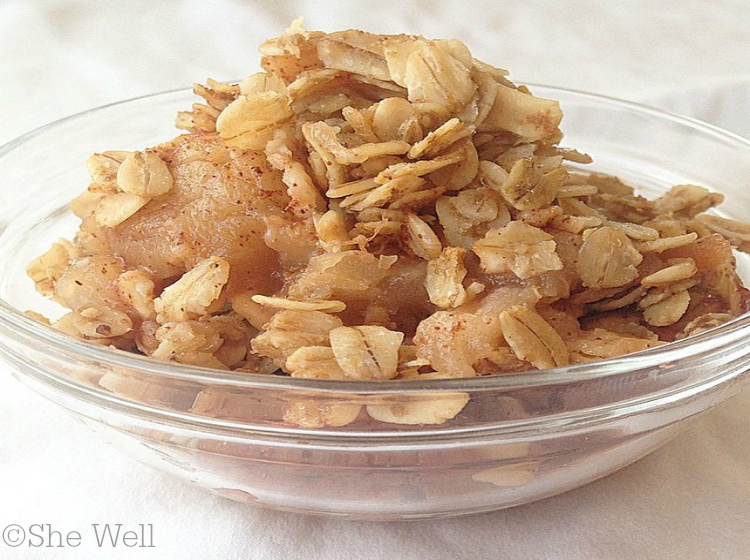 + In a bowl combine apple chunks, zests, juices, sugar and cinnamon. Once completed pour the apple mixture into the baking dish. + To make the topping, place all the ingredients in a bowl and mix. Scatter topping on top of the apples in the baking dish and bake for 1 hour. Serve warm.